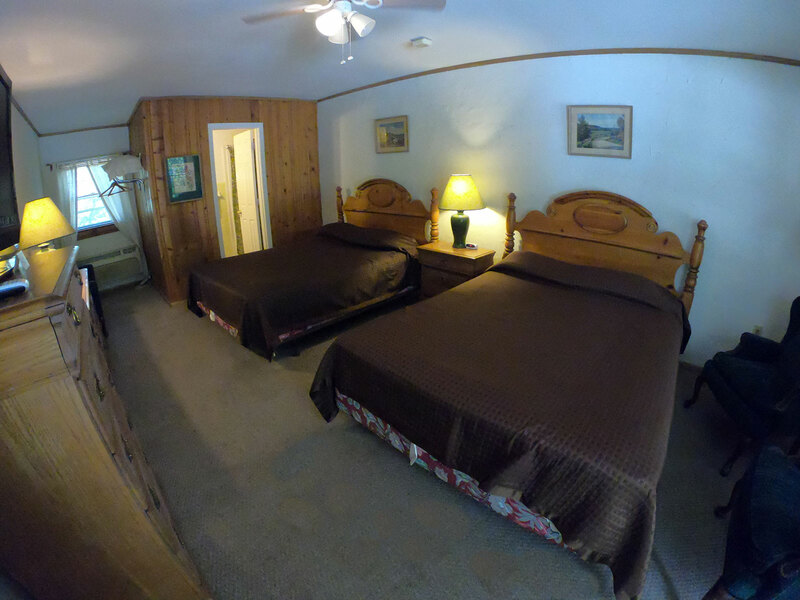 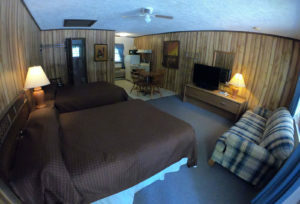 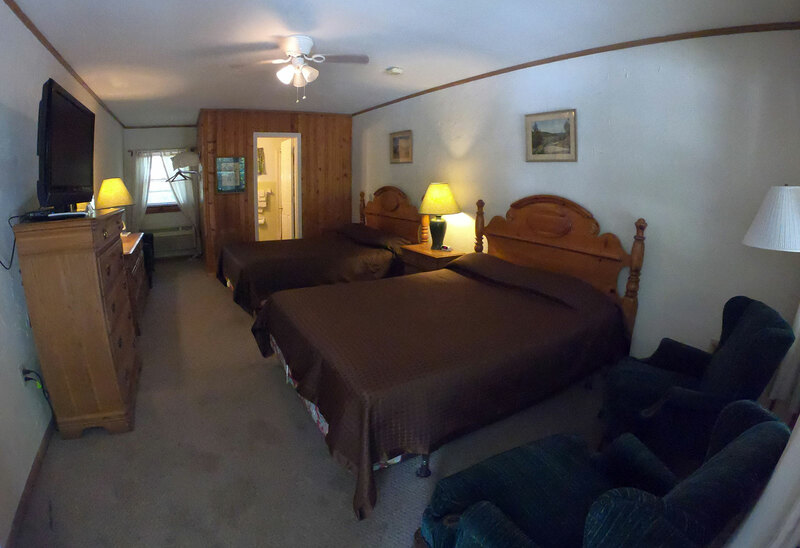 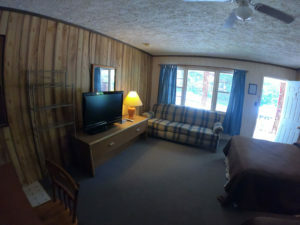 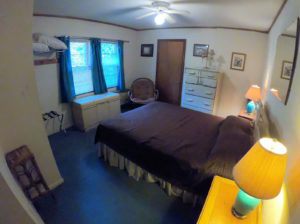 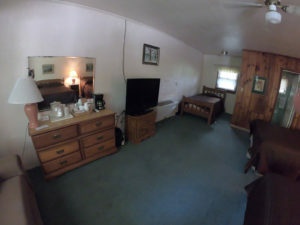 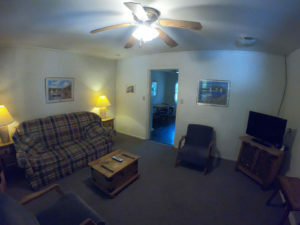 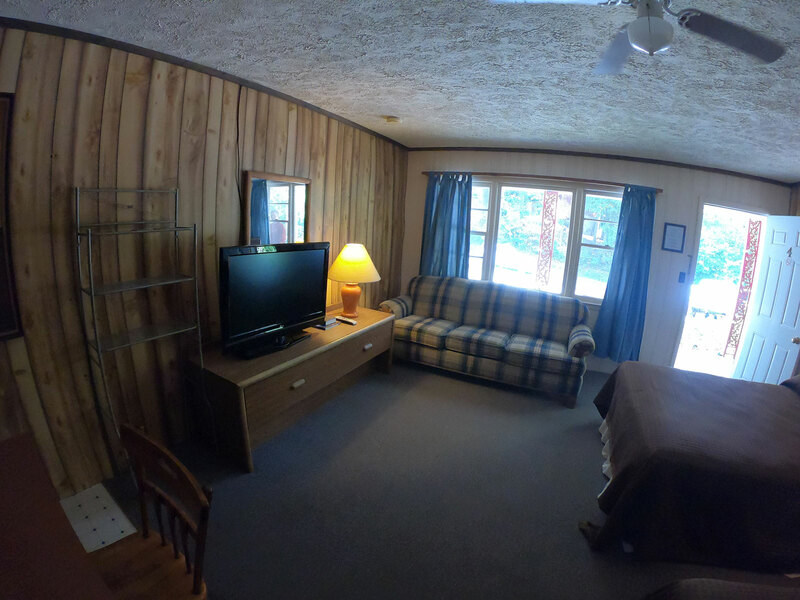 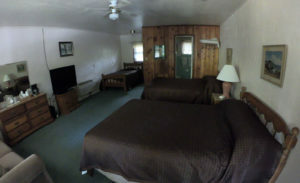 We feature your choice of (17) private guest quarters, suites, as well as (2) cabins or efficiencies and we have a beer and wine specialty shop on the premises. Kitchens fully supplied. 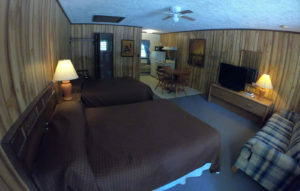 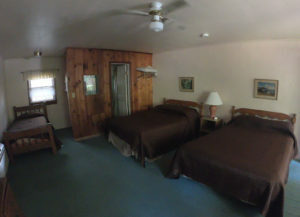 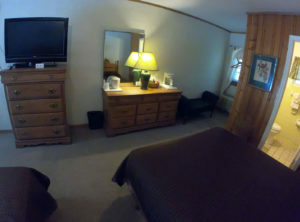 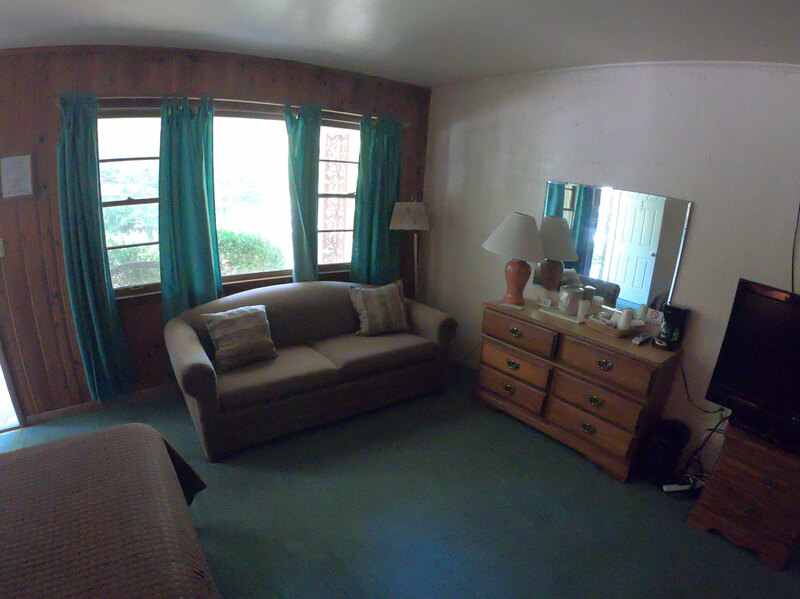 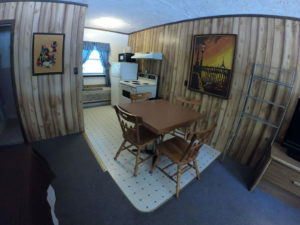 Cabins, suite and efficiencies sleep four. 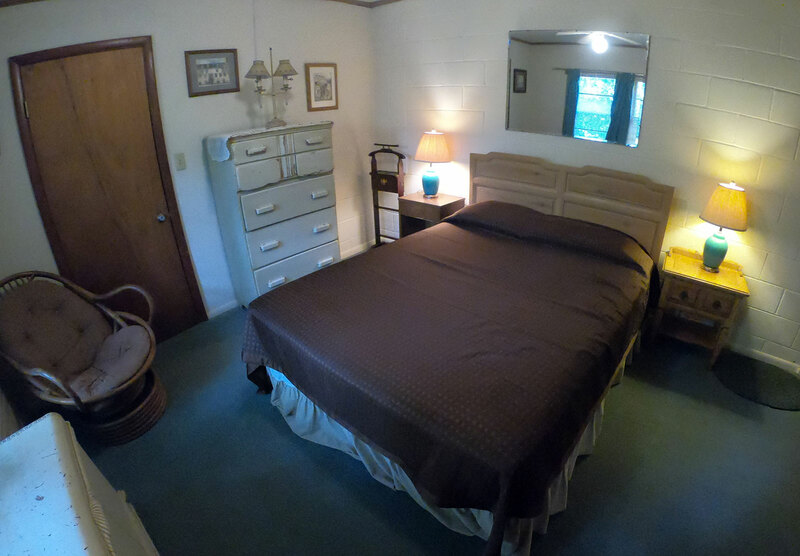 Towels, bed linens and daily maid service provided. 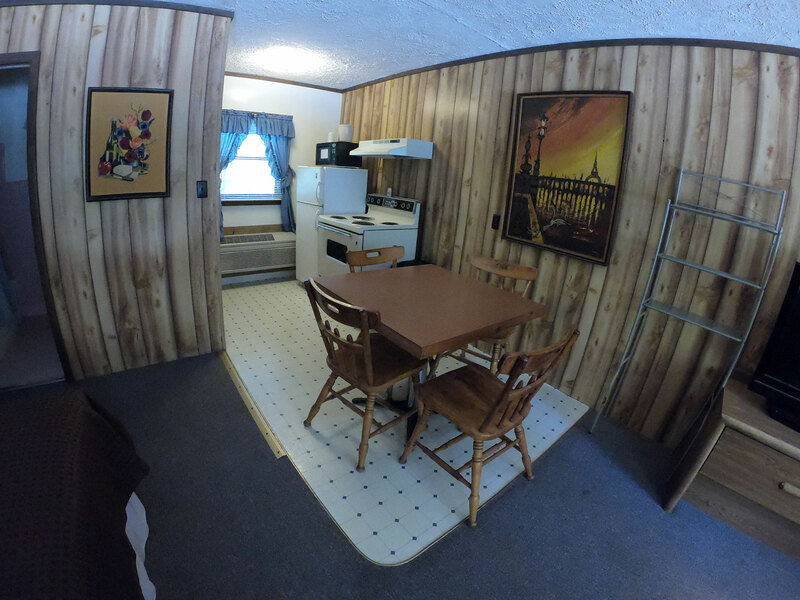 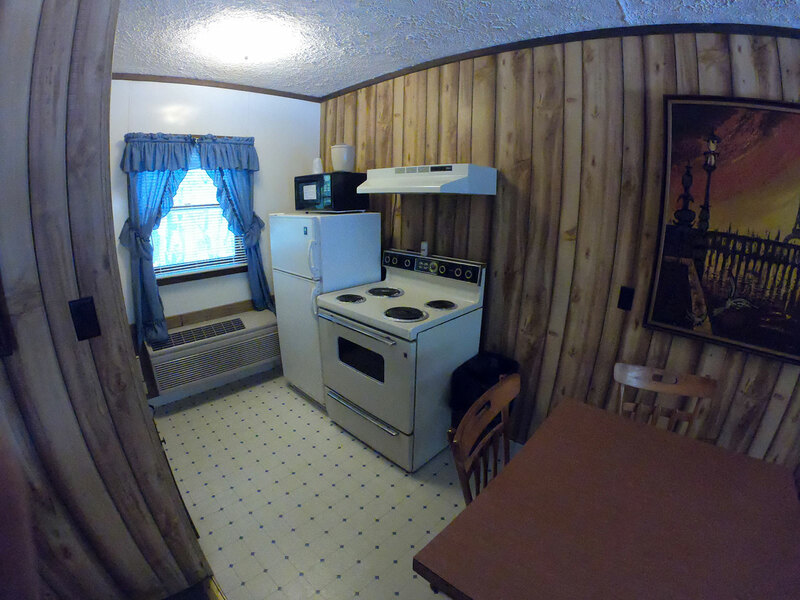 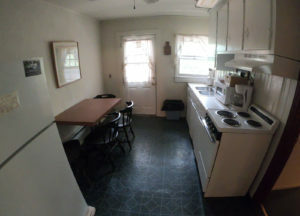 Free Home Cooked Breakfast and Satellite Television.